Join us on a fascinating tour of the city of Bethlehem, the birthplace of Christ. Hosts Jimmy DeYoung and Bonnie Keen will lead you on a journey to key locations throughout Bethlehem—from Manger Square to the Shepherds’ Fields. 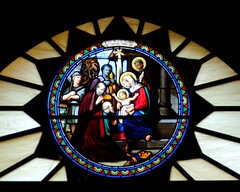 Gain a better understanding of the place where Christmas began and the impact that event still has on Bethlehem today. This entry was posted in Christianity, History, Islam, Israel-Palestine-Gaza-Occupation, Palestine, Religion and tagged Bethlehem, Christmas, Day of Discovery. Bookmark the permalink.